It's been a while since we last looked at the Korean art of Taekwondo. This clip showcases a Taekwondo presentation with forms, breaking and simulated fighting, all done with impressive choreography. 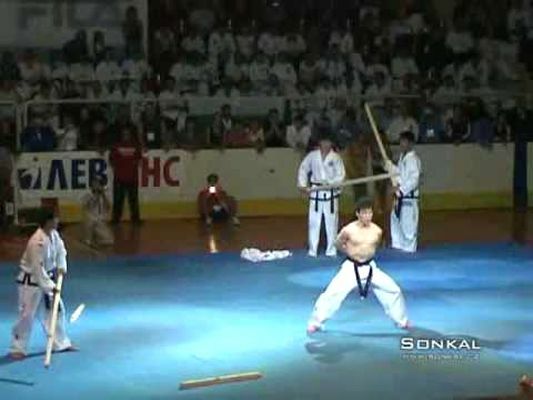 Some may consider Taekwondo a sport or performing art rather than a martial art. 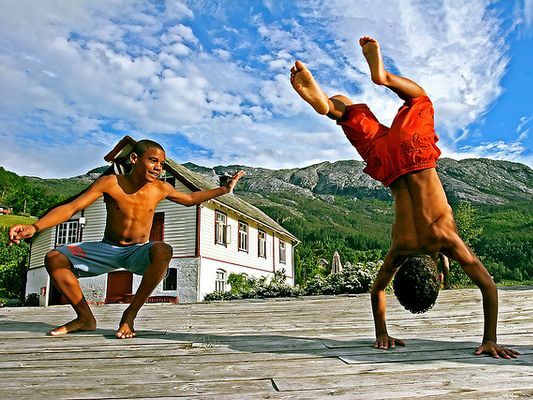 And generally, it is true the sports version takes centrestage but elite Taekwondo schools can certainly mix it with other arts with their super fast and accurate kicks. 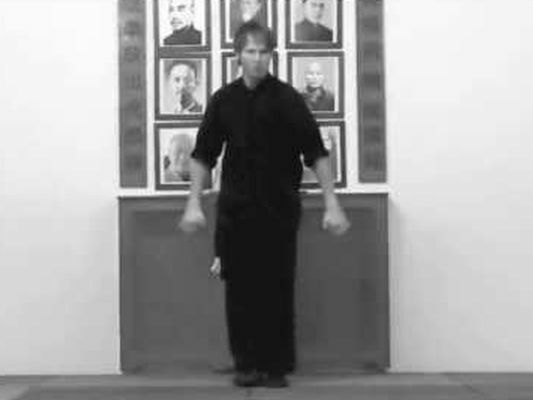 Nice monochrome video of Choy Li Fut's Sup Ji Jit Fu Kuen (Cross Pattern Tiger Blocking Fist) form as performed by Niel Willcott of UK. Although known as a Southern system, Choy Li Fut has its origins in both Northern and Southern China. The system’s founder, Chan Heung had three teachers, two from the South and one from the North. Choy Li Fut is one of the few kung fu styles that is strongly influenced by both Northern and Southern Chinese kung-fu, combining the long arm techniques of the South with the quick agile footwork that characterizes Northern China’s martial arts. Martial Arts has survived war, suppression and time. But it now faces its greatest challenge: modern contemporary living. Sidelined as anachronism, no one seems to be able to find the time or motivation to put in the hard practice to realize the art. This is true for most ancient traditions including Indian ones. So, to round off our coverage of the Punjabi martial arts of Shasta Vidya, we have Nidar Singh, said to be the last living master of the art. The video itself focuses on one of Shasta Vidya's most exotic weapons: the Chakra or spinning disk. Used as a projectile, it has the advantage of a continuous edge compared to the single sharp point of a dagger or arrow. This 45 minute video also touches on the rarely seen battle field martial art.